With high-profile cases across the country, there has been a lot of dialogue even as high as the White House regarding the usage of body cameras by police officers. 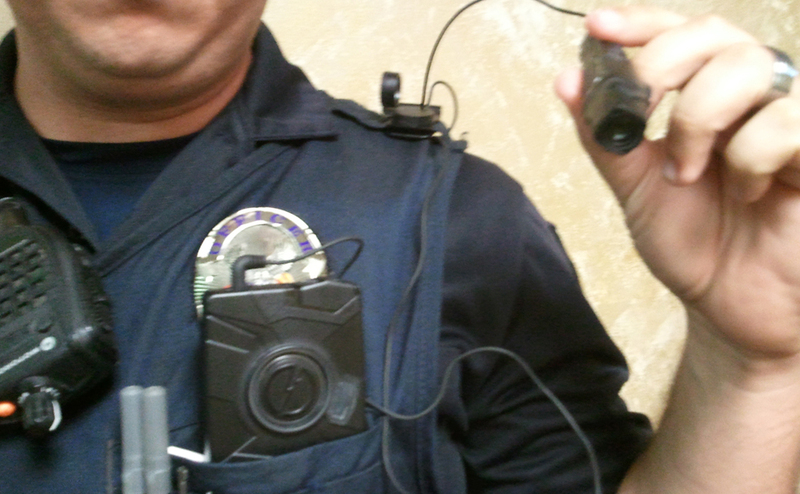 Mesa Police Department has been ahead of the pack in the use of AXON body cameras manufactured by Scottsdale-based TASER Int’l. Beginning in September 2012, fifty patrol officers participated in an 18-month trial period. After seeing a 75% reduction in use of force and a 40% decrease in public complaints, Mesa Police Chief Frank Milstead asked the City Council in January for permission to buy body cameras for every patrol officer. Officers have found that not only do citizens behave nicer knowing they are on camera, resulting in less need for use-of-force, but officers are also aware that their words and actions may receive more scrutiny. Cameras are not only beneficial for documenting the truth of an event, but are alos useful training tools. Supervisors can identify mistakes and areas for growth in once instance and communicate it to the larger body as a great learning opportunity.